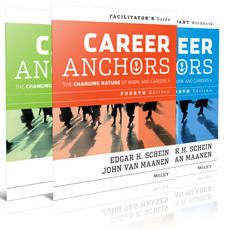 Pricing One Career Anchors license is $40.00USD. Each license is valid for up to 12 months and will expire one year after the date of purchase. Discount Schedule NOTE: Discount schedule is effective as of July 1, 2013. Discounts Are Available When Purchasing 50 Or More Tokens This discount schedule applies only to the Career Anchors self-assessment. Product-specific tokens cannot be combined to achieve discounts. Get Started Now Purchase your token(s) and get started today.